The release of Vicky Beeching's book Undivided has been accompanied by media interviews, a piece in the Sunday Times and other online and broadcast material. The book tells the story of her life as a teenager and then as an adult, struggling with marrying up her evangelical theology and emerging sexuality. Despite an international career as a songwriter, recording artist and worship leader – her songs are still sung in many churches around the world – she eventually found the struggle too much and she attributes her auto-immune illness in her late 20s to this stress. Since ‘coming out’ four years ago Beeching has become an advocate for a revisionist position on sexual activity in the evangelical world. 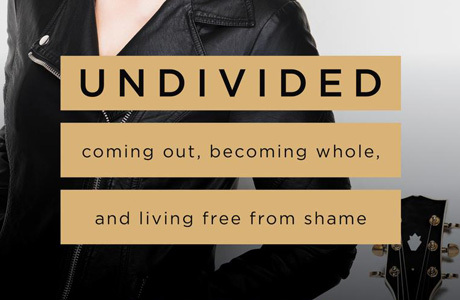 The full title of her book is Undivided: Coming Out, Becoming Whole, and Living Free from Shame. It strikes me that that subtitle is worth exploring more because it raises themes that do not necessarily mean that a revisionist agenda has to be held. There is nothing in coming out, being honest about your sexuality and finding a life that isn't lived in shame that has ultimately to end in changing core Christian theology. There are plenty of evangelicals – me for one – who are not heterosexual but have no problem in being open about that fact and are not ashamed of it. When I look at stories of gay people who have moved from a conservative to a revisionist perspective on this issue, I find two common themes. The first is a story of secrecy and not being able to be open about one's sexuality. This leads, as you would expect, to internal emotional turmoil because the individual is constantly having to wear a mask and be in public someone they are not in private. You find this narrative very clearly in Beeching's book and it's painful to read. It's an experience shared by many gay, lesbian and bisexual men and women, regardless of their theology. The powerful liberating experience of coming out is not to be underestimated – it transforms a life of shame and secrets into one of openness and self-respect. The second aspect I often read is some form of conversion attempt. By this I mean some therapy, or prayer or other similar exercise that was intended to change a person's sexual orientation. When this fails, as it normally does, the individual becomes despondent and confused. The key problem with these kinds of approaches is that they operate by necessity out of a framework where heterosexual attraction is morally superior to homosexual attraction, and frankly this is a concept we cannot find in the Bible. Rather the Bible's focus in this area is on specific sexual activity. So back to Vicky Beeching's story. It's clear she bottled this up for two decades and that's an awfully long time to keep something like this secret. She also tells of some experiences of attempted change via prayer or other methods. The reason why Vicky Beeching couldn't continue her ministry wasn't because she came out: it was because she came out and accompanied it with a particular theological position. When Beeching chooses a title like Undivided she is actually playing a very clever game, because revisionists want to so conflate orientation and activity that in society's (and the church's) inability to divide them we find ourselves defending both because there is no other possibility. This of course is the danger of the position taken by some evangelicals which says it’s wrong to call yourself gay, even if you're chaste and teaching orthodoxy on this subject. What this stance actually does is fall for the 'undivided trap' by conflating all aspects of sexuality into one sinful whole in a way the Scripture never does. If we want to help our church members not struggle with mental health issues around this when they have homosexual desires then we have to make sure they are clear that these desires are not in themselves sinful and that they don't get told that if they changed they would be better. At the moment the gay revisionist lobby is winning this debate because theirs is an authentic voice – it is their story, their personal narrative, their theology. If the evangelical church is serious about coming up with a better narrative, it has to be a genuine gay voice holding to an orthodox biblical position that shares it. Although Vicky Beeching’s book has been popular, I would recommend saving your money for another book The War of Loves by the theologian and writer (and former gay activist) David Bennett. In it he narrates his life story and how he had at first been very happy with a liberal gay identity, but in time came to a different conclusion from that of Vicky Beeching. This article was published in the Christmas 2018 edition of the TFT magazine, Ascend.